Scientists have stumbled upon one of the biggest discoveries since the electrifying detection of the Higgs boson a few years ago. 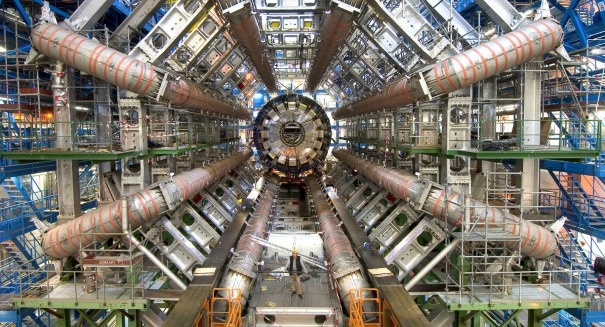 A big, big discovery has just been made deep under the ground in Switzerland, the location of CERN’s Large Hadron Collider. Physicists using the LHC have just detected a new kind of heavy particle with the catchy name Xi-cc++, composed of three smaller particles called quarks, and it could revolutionize the future of physics. This particle is special because it had one “up” quark and two “charm” quarks, which are heavier and more exotic than the “up” quarks. There are six categories of quarks based on the Standard Model of physics, with those being two of them. They are categorized based on their masses and charges. Scientists had theorized about the existence of “doubly charmed” particles, but this is the first time they’ve been detected. This finding could further show that the Standard Model of physics is correct, and it could also open up new avenues of discovery in the complex and amazing world of physics.